It’s incredible sometimes to see how much things can change in only a few months. Last year, there wasn’t a single French hybrid available, now there are 3. The Citroen DS5 Hybrid4, the Peugeot 3008 Hybrid4, the Peugeot 508 RXH. The Peugeot 508 RXH is built at the PSA Peugeot-Citroen factory in Rennes, Brittany, whereas the 2 others are built in Sochaux, in eastern France, and there’s more. Another factory manufacturing a fourth hybrid model. 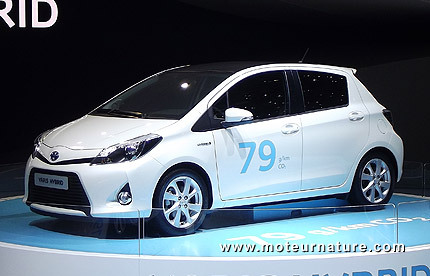 That’s Toyota which has started just this week, building its Yaris hybrid at its Valenciennes factory, in northern France. That means there are today 3 factories building hybrids in France. More than that, the Yaris hybrid should quickly become the best-selling hybrid in Europe, making France the European leader for manufacturing hybrids by a pretty large margin.